2013’s strangest story gets weirder each and every day. I mean, who expected Octomom to hop back on the stripper pole?? Okay, sad jokes aside, the story of this very new year has been that of confused/disgraced Notre Dame linebacker Manti Te’o. Te’o’s story played out this week like something out of the Theater of the Absurd. He did not know this was a hoax? Hang on, he was not complicit? This kid was supposed to be attending classes at one of the preeminent universities in this country and yet he was duped into a 2 year online relationship with a girl who, let’s face it, was a 7 out of 10 on a good day!? Either he is a hopeless romantic, gay, in on the hoax, or some combination of those three. But here is the thing: it does not matter. I do not care. Neither should any self-respecting Vikings or Packers fan. Manti Te’o is clearly a bit of a hunyuck. But he is also one helluva a football player. 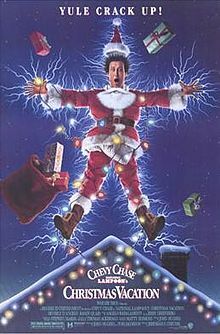 Sure, he got lit up like Chevy Chase’s Christmas Vacation house in the national championship game, but do you think he had other things on his mind? According to approximately 326,789 online reports, Te’o’s life had been falling apart (behind the Golden Dome) for about three weeks. Anytime you are spending a lot of QT with the school athletic director – Jack Swarbrick – your stress level is likely a bit higher than normal. Might even affect your play a little, especially against a squad like Alabama. So, giving Te’o a mulligan for the Alabama game, what do we know? Te’o averaged 125 tackles, including 61 solo numbers, during the last three years. The guy has been a tackling machine. This year, he has added some play-making ability in the secondary, nabbing 7 INTs. In terms of off-season hardware, the guy pretty much cleaned house. In fact, Te’o is the most decorated defensive player in college football history. His awards list includes: IMPACT Player of the Year Lott Trophy, the Maxwell Award, the Chuck Bednarik Award, the Bronko Nagurski Trophy, the Butkus Award, the Lombardi Award, and the Walter Camp Award. Of course, he also took 2nd in the Heisman Trophy race. Now, did the fact that Te’o’s fake girlfriend supposedly died only 6 hours after his grandma (or was it before – a cloudy timeline is a bit suspecting to say the least) give him a bit more national noteriety? Undoubtedly. Did his star shine a bit brighter? Assuredly. But he still had to perform on Saturdays. And perform he did. Prior to Te’o’s world falling apart in spectacular fashion, he was ranked as the top linebacker in the country and, according to most draftniks, a guaranteed Top 10 pick. Now? Who knows? And that is where we come in. Both the Vikings and Packers could use an improvement at middle linebacker. The Vikings have Jasper Brinkley, who had a decent season, but Te’o is the type of talent that could carry a franchise for the next 10 years. Now there could be some concern that Te’o could not adapt to the Vikings’ Cover 2 because in that system, the middle linebacker has to be able to get to the deep seam to help the safeties. And while Te’o has shown flashes of strong ball skills, particularly this season, he does not have break away speed. All of that said, I am not too worried, Te’o would still be a major upgrade for the Vikings and he would represent a superb value at the 23rd overall spot. Hawk’s minutes this year were way too high and Te’o would be a huge upgrade. The Packers could use a middle linebacker even more considering the corpse of A.J. Hawk logged serious minutes for the Green and Gold this year. For that reason alone, you know – having a pulse – Te’o would represent a significant upgrade in Dom Capers’s system. Talent upgrade aside, the Packers might actually be a better fit for Te’o considering that he ran a 3-4 at Notre Dame. That system would not require him to get as deep on his pass drops and he would have the luxury of playing with a near Pro Bowler at nose tackle – B.J. Raji. Linebackers in a 3-4 are only as good as their nose tackle. And having Raji occupy interior linemen would give Te’o space to do what he does best: make tackles. 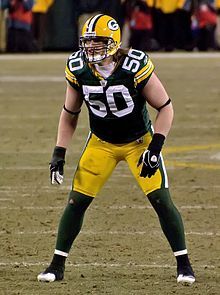 He and Bishop would finally give the Packers top-end talents at ILB. The Packers also have a veteran squad that could easily address/diffuse any lingering issues with Te’o’s imaginary girlfriend. This is perhaps more important than anything else considering how poorly Te’o played in the national championship game with everything on his mind. Of course, this is all speculation. Over the next several months, we will learn – hopefully – the truth behind this hoax. And the truth will be the big determining factor into how much this hoax will affect Te’o’s draft stock, if at all. But for now, the imaginary 7 out of 10, Lennay Kakua, could be a very real blessing in disguise for the Vikings or Packers come draft day. This entry was posted in Home, Vikes v. Pack and tagged A.J. Hawk, Alabama, B.J. Raji, Bishop, Brinkey, Chuck Bednarik Trophy, Desmond Bishop, Dom Capers, Green Bay Packers, Jasper Brinkey, Lennay Kakua, Manti, Manti Te'o, Maxwell Award, Minnesota Vikings, Nagurski Trophy, National Championship, Packers, Raji, Te'o, Vikings. Bookmark the permalink.